I've been hearing really good things about Ever Night 将夜 ever since it aired. Director Yang Yang (not the actor) recently talked about many aspects of the drama and addressed rumors that Arthur Chen Feiyu who is the son of renown film director Chen Kaige got the part due to family connections. Arthur Chen was only 17 years old when he filmed Ever Night. On a side note, he's actually 7 years younger than leading lady Song Yiren who's in her twenties. According to Yang Yang, Arthur Chen auditioned like everyone else. Moreover, she had never met Arthur Chen's father Chen Kaige and mother Chen Hong at the time. 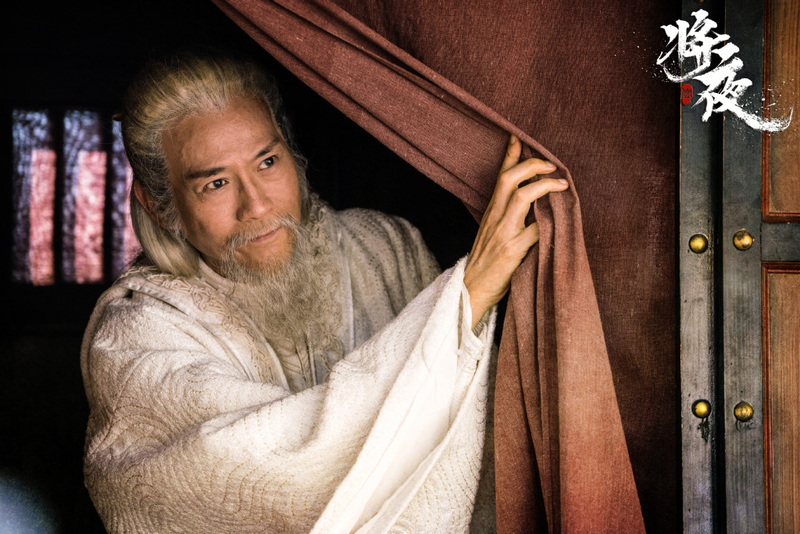 It was only after many conversations with Arthur Chen and several rounds of screen tests that he was casted on his own merit. Although he isn't a professionally trained actor, Yang Yang observed that Arthur Chen appeared confident and relaxed in front of the camera which is not an easy thing to do. Ever Night is a drama that valued real locations and majestic visuals. Because of the amount of travel they had to do, filming took half a year. Popular stars wouldn't be able to free up that much time so the show ultimately went with newer faces. Nevertheless, it managed to gather an impressive ensemble cast to support its young leads. 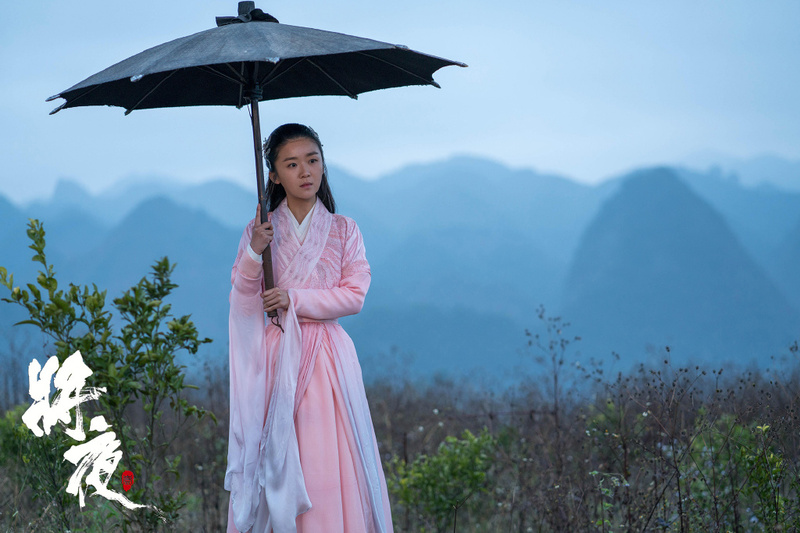 Yang Yang shares that she envisioned Hong Kong veteran actor Adam Cheng as the character Fu Zi when she read the script. She shared her thoughts with the assistant casting director even though she wasn't confident that Adam Cheng would accept because it is a supporting role and a character that only appears in certain arcs while the story continues to be focused on the young heroes as the main leads. When Yang Yang found out that Adam Cheng had accepted the role, she couldn't believe her ears. Apart from Hu Jun and Ni Dahong whom the Director worked with before, Yang Yang admits that she didn't know anyone else though it looks like everything came together at the end. 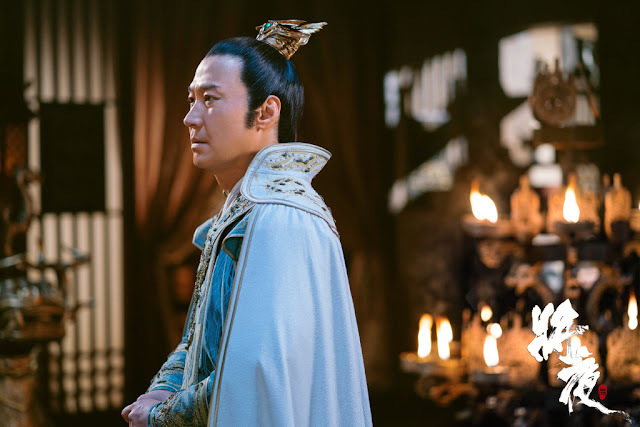 Ever Night has managed to put together an intimidating lineup of supporting characters like Leon Lai. Arthur Chen is doing a fantastic job. This is a wonderful drama. What? 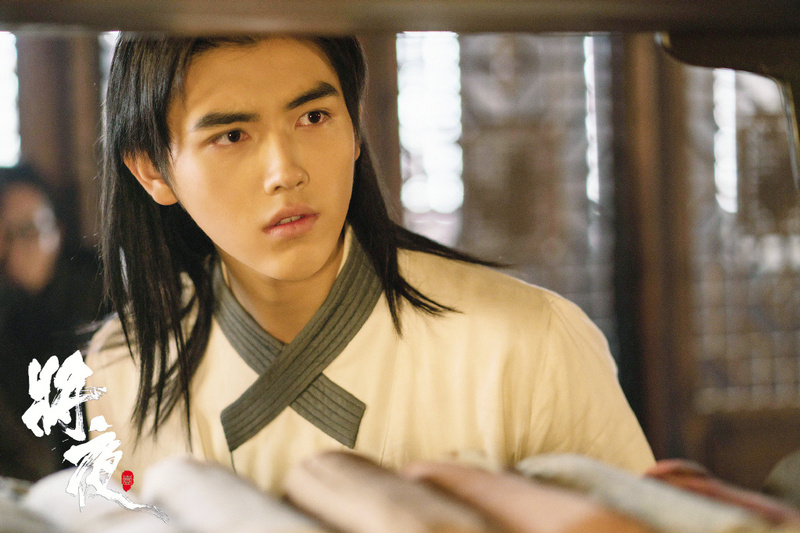 He is Chen Kaige's son? He is 17? To think I avoided this drama at first because I was uncomfortable with how young the lead female looked until I found out she she was in her mid-20s. Really cool the director is a woman. I am hearing very good things about this drama and it is being subbed on Viki (yay!) but I'm nervous to start until it has finished airing as I've heard it might have an incomplete or open ending. Season 2 is already in progress of filming with Season 3 in mind. The incomplete ending part is for the current season is irrelevant. No production team will finish off a multi-season show with an open ending. It is an amazing show despite slow and incomplete subs. I have slowly become obsessed and Arthur is an awesome Ning Que. I am loving that it is a woman director - her actions and touching scenes are very strong. I've never thought that the author was a woman in the beginning, because I LOVE the fighting scenes and this drama is not the type that depends on chemistry or romance, like most dramas these days. She has done a good job. I think Chen Feiyu himself doesn't want to return. The rumors also said his next project is a movie. Season 2 has already begun filming. Pretty sure he's locked in. I didn't believe it too, because I also read they've started filming. As I ventured out the web more, it looks like the rumor has been lingering for a while and now I'm worried. Replacement of an actor -- even the main character -- in a series is more common than people think. It can work, or it can backfire, particularly for the MAIN character. Personally, I'd prefer that the cast remains. 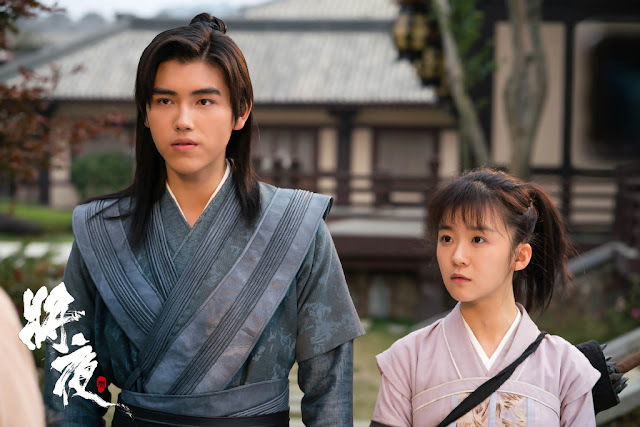 Chen Feiyu needs more polishing in his acting, but somehow his portrayal fits the vibe of the drama and he has great chemistry with the rest of the cast. I'm not sure if I want to see Season 2 IF it's not him -- not because of the succeeding actor, whoever he is, but it just won't feel the same to me. Noooooo I haven’t heard of the rumor of him being replaced! It would not work... I would be so crushed! Author Mao Ni is a man; Director Yang Yang is a lady (awesome director too). Thank you for the background story. This is the only popular 2018 drama I'm watching. Most of this drama is nice to watch. But some of the actors' acting are inexplicable. Cao Cheng (Luo Kedi), Liao Wang (Chong Ming), Huang Yilin. I'm not impressed by the actor Su Ke (the actor for Tang King's brother) either. I'm surprised to read that he's Sun Hong Lei's classmate. Fortunately Su Ke's acting in Ever Night is less cringe-inducing than his other drama I saw. Best wishes to the drama team and director. Thanks for all the recommendations guys! I've started the drama and I LOVE it so far! Haven't seen this quality wuxia drama in a long time. I am so heartbroken. Arthir is not coming back in season 2 due to schedule conflicts. Hopefully he will reprise his role in Season 3. I can bear watching one season with another actor, with the assurance that he's gonna be back in the last season. For me, Ning Que fits Arthur Chen the most.